U.S. favorability around the world has fallen under Trump, according to new poll | Circa News - Learn. Think. Do. U.S. favorability ratings in the rest of the world have dropped since President Trump took office, according to a new Pew Research Center Survey. 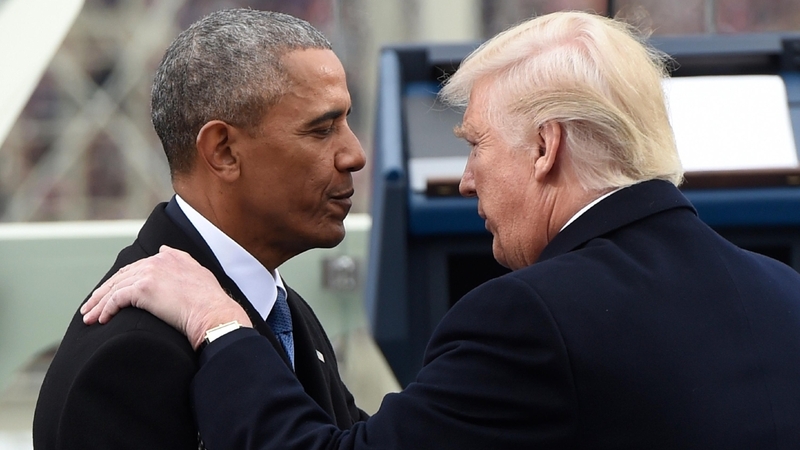 U.S. favorability around the world has dropped from 64 percent when former President Obama left office to 49 percent under Trump, the survey found. Breaking it down by country, the survey found that only 30 percent of Mexicans held a favorable view of the U.S., while 43 percent of Canadians and 35 percent of Germans had favorable views. "The drop in favorability ratings for the United States is widespread," the survey said. "The share of the public with a positive view of the U.S. has plummeted in a diverse set of countries from Latin America, North America, Europe, Asia and Africa." U.S. favorability has increased in Russia, however, jumping from 15 percent under Obama to 41 percent under Trump. When asked if they thought Trump would do the right thing in world affairs, only 22 percent of respondents said yes. This is a drop from the 64 percent of people who said yes when asked the same thing of Obama. The poll surveyed anywhere from 852 to 2,464 people in 37 countries between Feb. 16 and May 8. The margins of error for the findings are between 3.2 and 5.7 percentage points.